Go Books are available as ePub, the standard for digital books, supported on all popular platforms. In general, the state of ePub readers is not great, unfortunately. Many are plagued by bugs or incomplete support for complex ePubs. As each go book has a sample chapter you can download as an ePub, please download that first and see how it works with your ePub reader. If it works well (or well enough), the full book should work too. The following are the apps that seem to work best with Go Books ePubs; please let me know if you find any other good apps. Also, please tell the authors of these ePub reading apps about any issues you run into. There are a number of issues with layout in calibre (e.g. too much space around diagrams and poor positioning of replay controls). According to the developer, these will eventually be fixed by upgrading to the new WebKit renderer, but the timeframe for that is unknown. 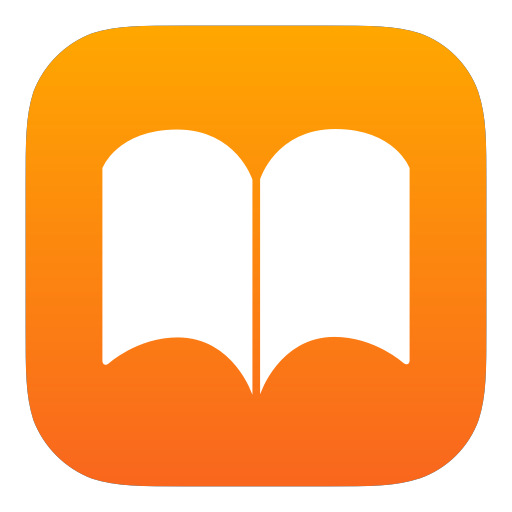 On iOS and Mac, you can also use the Go Books app, which provides better layout and extra features. However, you may enjoy Apple Books for some features like Search that are not in Go Books. Are all books available as ePub? Most books, not quite all. We expect books from Board N'Stones to be added soon, while books from Hinoki Press and Good Move Press may not be available as ePub for a while. All other books are available as ePub. Please pay attention to the button for buying books: it will be labeled either EPUB+GOBOOK or GOBOOK ONLY, depending on whether that book is available as ePub. Can I read ePub on Kindle? No, the Kindle E-reader does not support interactivity, and conversion from ePub to mobi format (e.g. using calibre) doesn’t seem to handle the complex ePubs for Go books well. Do the ePubs include DRM? No, the ePubs are not encumbered by DRM (Digital Rights Management). DRM would reduce your choice of ePub reader and add unnecessary complications. We trust you to respect that the ePub file is for your personal use only. You can download ePub files for the books you’ve previously bought (assuming you’ve associated them with your email), so you can enjoy those books again on a different device. Enter your email below and you’ll receive a link to a list of your books, including download links for ePub. Yes, as I find ways to support new features or improve existing features, or simply fix typos, the ePub files will be updated. I plan to provide an email notification when your books get a significant update, so you can download the newest version. For example, inline diagrams are not supported in the initial version, but I hope to add that in the future. Solution of problems is not hidden? With ePub readers that show two pages, you might see the solution for a problem right next to the problem. Workaround: Switch the app to single-page mode, or hold the device in portrait mode, so that you only see one page at a time. Price in app is different from website? Each book is priced the same in US dollars in the Go Books app and on the gobooks.com website. Apple converts the in-app price to your local currency and rounds it to a nice number, which may or may not be in your favor.